Login to server as root via SSH. Run following command to install fantastico. 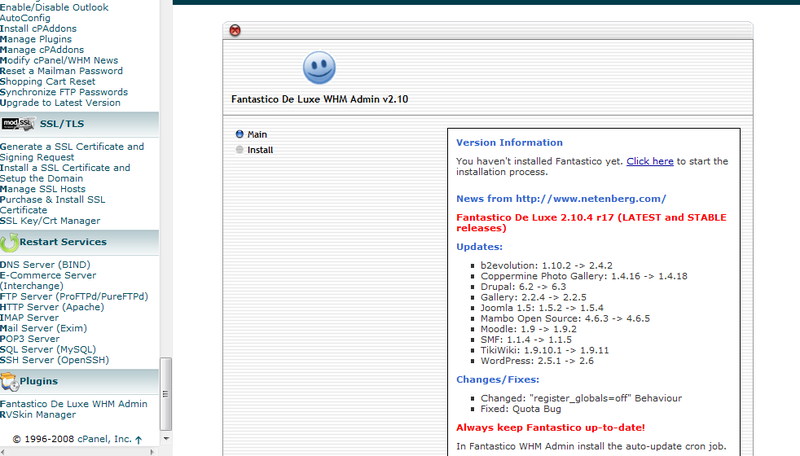 Log into the WHM and go to Main >> Plugins >> Fantastico De Luxe WHM Admin, and click install. All admin files will be created at /var/netenberg. If your users don’t see a Fantastico link in their CPanel: Go to WHM and edit the “default” Features List. Activate Fantastico.